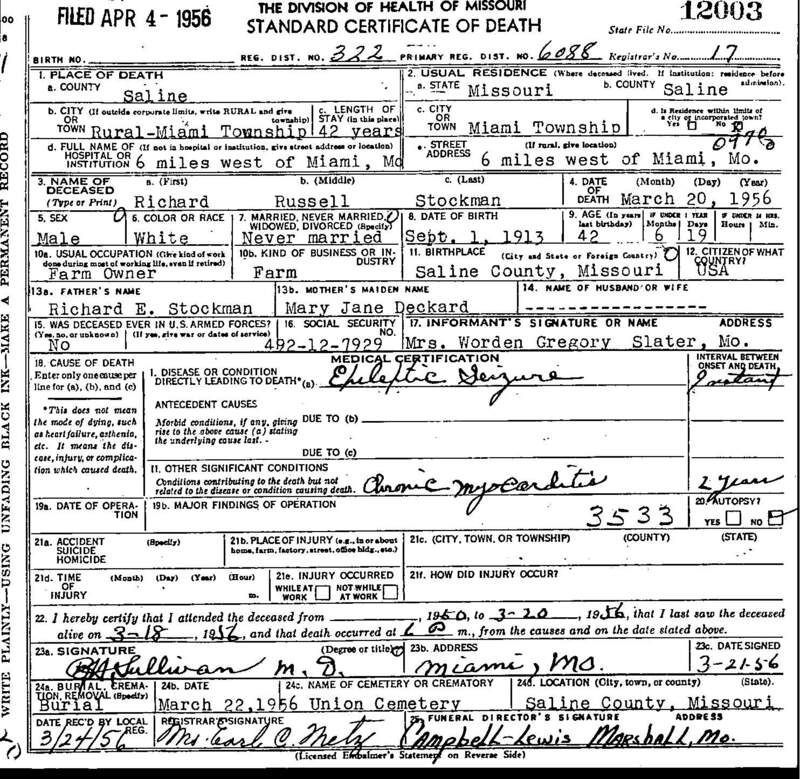 "Death Record - Richard Russell Stockman"
Birth location: Saline County, Missouri. Cause of death: Epileptic seizure. Death location: 6 miles southwest of Miami Township, Saline County, Missouri.